Generally referred to as a “tummy tuck“, a Williamson Cosmetic Center abdominoplasty removes excess fat and skin from the abdomen. The procedure also helps to flatten and contour the abdomen and waist. Women with stretched abdominal areas due to previous pregnancies, can benefit considerably from abdominoplasty, although in most cases it is best to have completed their childbearing. Older individuals whose skin has lost some of its elasticity can experience a significant improvement in their abdominal area as well. Abdominoplasty ranks among the top five most popular cosmetic surgery procedures in the world. It is the perfect counterpart to liposuction abdominal contouring in many women who have had children & seek a tight, contoured abdomen. 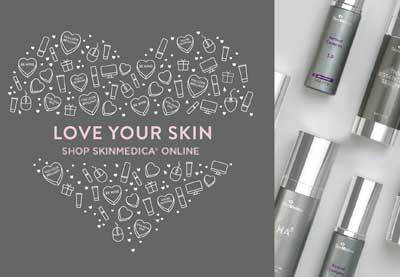 It is the only effective cosmetic treatment for loose abdominal skin, stretch marks and muscles. A less-invasive option to a full abdominoplasty is what’s known as a mini-tummy tuck. A mini-tummy tuck can improve the appearance of excess fat and loose, stretched out skin in the lower abdominal area. This surgical procedure is effective for men or women whose conditions are not severe enough for full abdominoplasty. Liposuction is an option for those that seek the least invasive procedure for removing fat tissue from their stomach areas. In recent years technology has advanced and liposuction has benefited providing surgeons and patients with better results and faster recovery. The traditional tummy tuck is most common because it offers much greater correction and a more noticeable result. The full tummy tuck procedure uses an incision which is made slightly above the pubic area from one hipbone to the other. A second incision is made to free the navel from the surrounding tissue. The skin is separated from the abdominal wall up to the ribs and lifted to expose the muscles. The muscles are tightened and sewn in place. If you have muscle separation, pulling your muscles closer together and suturing them will give a tighter look to your abdomen. The skin is stretched back across the abdomen and extra skin is removed. Your belly button is then repositioned and sutured in place. Finally, all incisions are sutured, dressings are applied and temporary tubes may be inserted to drain excess fluids. If you plan to become pregnant or lose weight in the future, you should discuss this with your plastic surgeon. 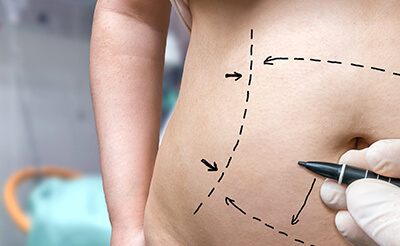 Scarring from previous abdominal surgery may limit the results of your abdominoplasty. To learn more about Abdominoplasty or Tummy Tucks in Louisiana please set up a consultation with specialists at Williamson Cosmetic Center in Baton Rouge.